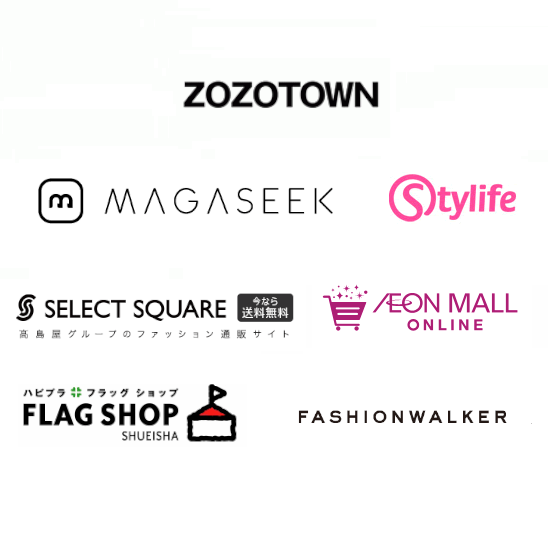 At the same time, Market size of Japan Fashion Retail is $90,000,000,000(2012). It is only about 6%. It keeps growing over last 5 year. However, I think that recognition of the mere channel only followed this growth. 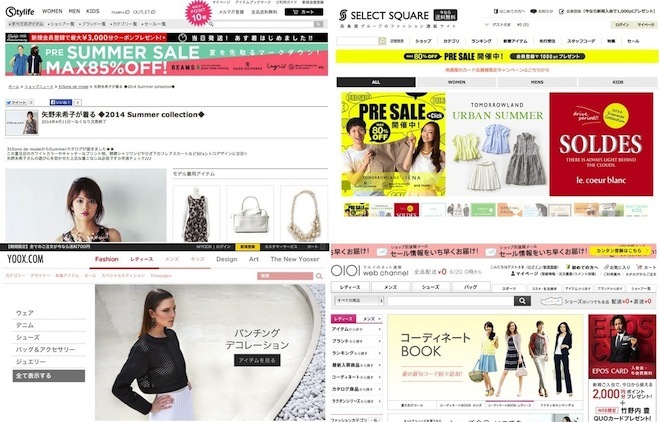 We Japanese need to make more Wonderful world about Fashion e-commerce. 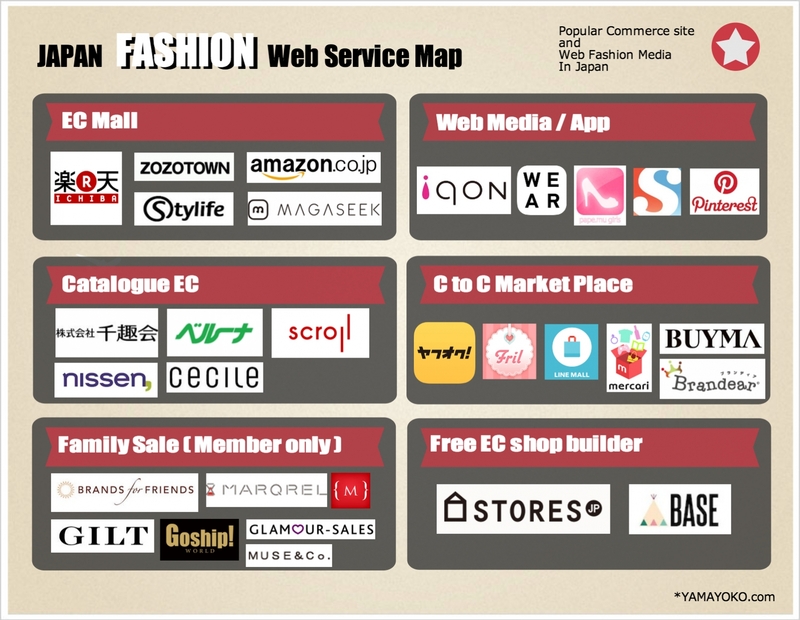 This is the map categorized in service. 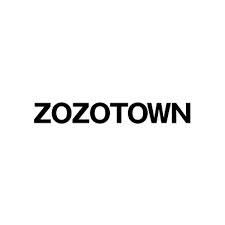 *Excluding official commerce/media/service site operating Brands themselves. 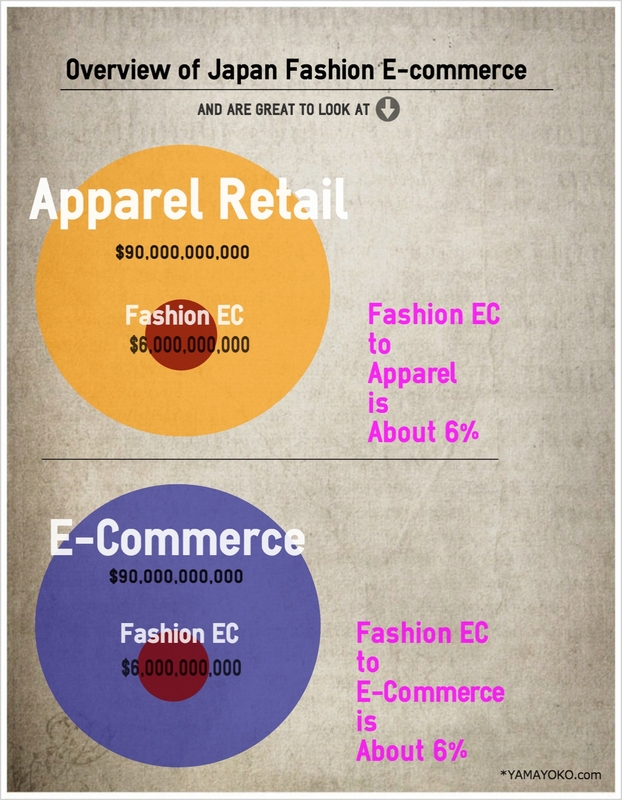 And recently,trend is curated commerce. Such as Antenna, HATCH, ORIGAMI,Fancy and so on. but I think that they are underdeveloped. 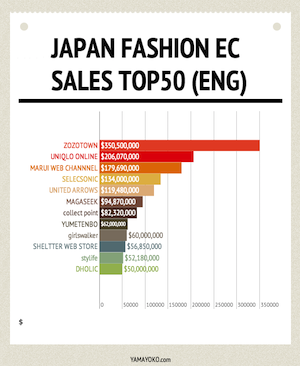 Below link is about Japan Fashion e commerce Ranking(TOP50). 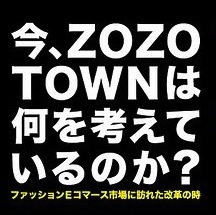 No.1 is ZOZOTOWN, No.2 is UNIQLO, NO.3 is MARUI WEB CHANNEL. 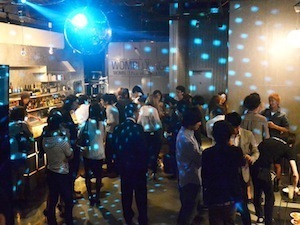 If you have any question, feel free to e-mail yamayoko28★gmail.com.